A clear style of form with ergonomic lines characterises the design of the new swinghandle product line 1325 of EMKA. With this, the manufacturer creates an optical highlight in the technical environment. At the same time, the handles offer functional advantages with ease of mounting. 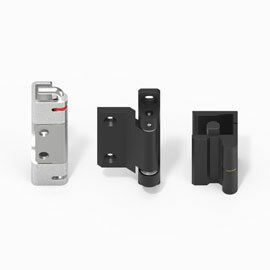 Furthermore, the locking systems are modular and are very easily exchanged. 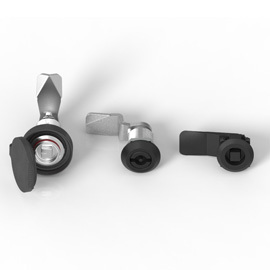 The clear style of form of the swinghandles in connection with the increased functionality is now being honored with the iF product design award 2013. The mounting of the swinghandles are done quickly and easily as they can be assembled with hooks or screws. Due to new construction techniques, incorrect installation of the handles is expelled. In this way, the users of all cabinets benefit from the constant ease of use when opening and closing. 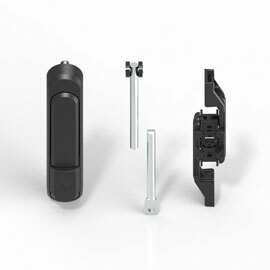 The swinghandles are especially variable by means of the exchangeable locking system. These concern e.g. cylinder with key or simple inserts such as square or double bit, so giving a greater flexibility to suit a vast range of applications, customer specific needs, and different country standards. Apart from the optical advantages, this means more flexibility of use. The classifications of the protection classes IP 40 and IP 65 confirm that the customer receives a dust and waterproof locking system. 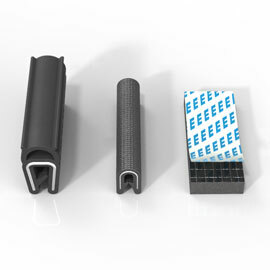 Integrated scratch protection takes care of the handle construction and contributes to a durable EMKA – solution.